Are you interested in volunteering to help your Fraternity succeed? The Official Volunteer Resource Guide is a great place to start. You'll learn about the concepts of being a key leader and volunteer, your rights and responsibilities, the Fraternity's organizational landscape, important advice, key contact information and other crucial information that will help you in your volunteer role. Even if you're a seasoned volunteer across TKE Nation, you'll learn new information in this guide. You'll also find detailed information about mentoring, planning, risk management, ritual, finances, recruitment and other important aspects of being a volunteer in TKE. 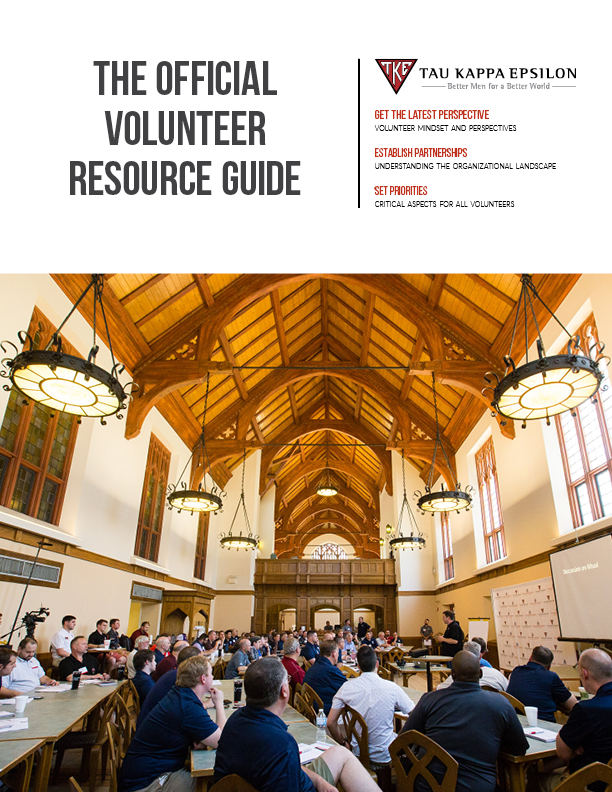 Click the image below to download "The Official Volunteer Resource Guide."